The biggest house of the four is Boxley House. The property boasts attractive features including a large double garage with complimentary cupola. A Substantial front porch and elegant fascias help create a luxury home. Internally a spacious hallway leads to the Lounge, dining room, kitchen, utility and WC. The kitchen features integrated appliances including a double electric oven, 5 ring gas hob, chimney hood and integrated fridge freezer and dishwasher. Choose from over 200 kitchen designs to truly make this your home. The home also features a beautiful bay window incorporating French doors from the lounge that lead to the rear garden. 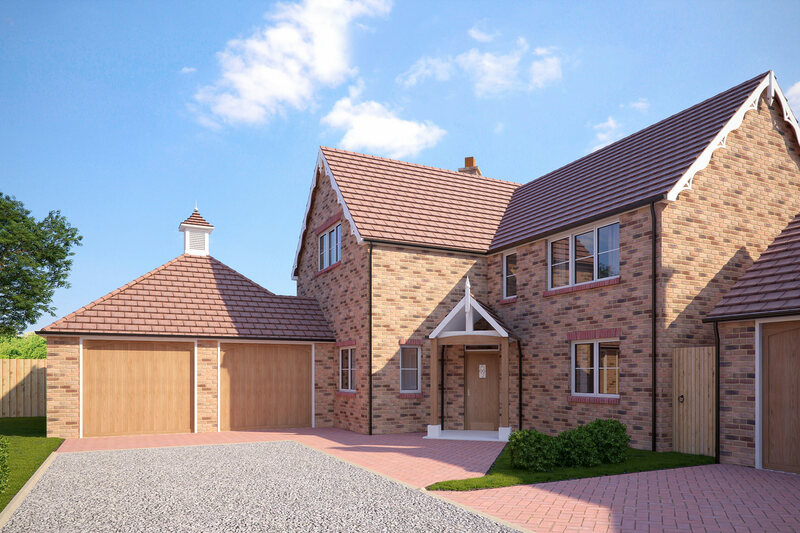 There are 4 bedrooms on the first floor including the master with en-suite. The main bathroom finished in a beautiful ideal Playa suite. Take your pick from our extensive standard range of tiles or go for something really different with our upgrade option. Great storage facilities and a generous landing space is also a feature of this property. There are landscaped gardens to the front elevation and a block-paved drive leading to the double garage. Double garage with UPVC personnel door and fully retractable garage door.